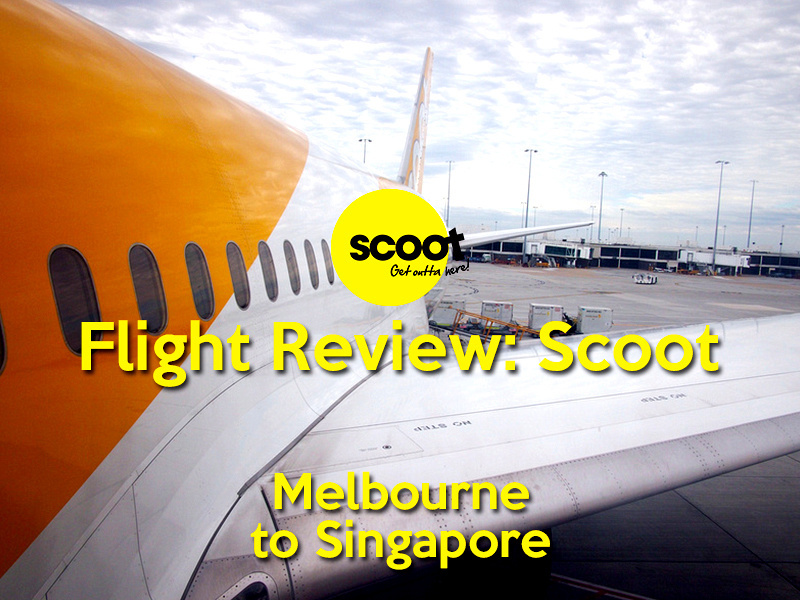 I flew with Scoot from Melbourne to Singapore. I was looking for flights from Melbourne back to Southeast Asia and I didn’t have an exact destination in mind so I was flexible about where to fly. 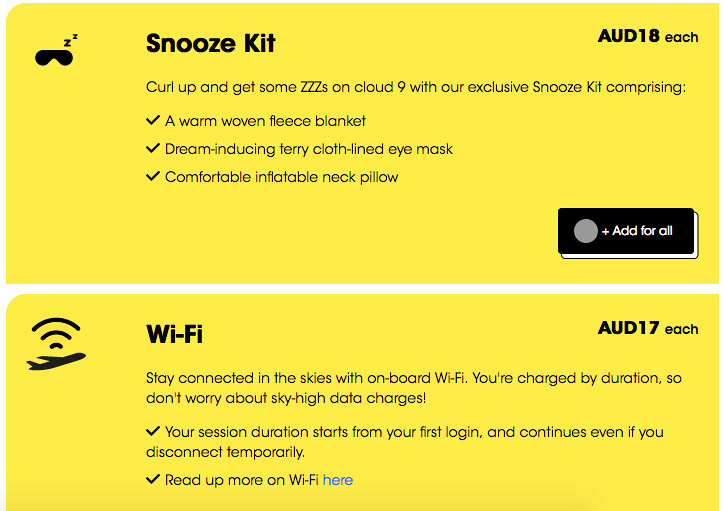 I compared different flights with Skyscanner to come up with an itinerary, and Scoot was the best in terms of price and time of day. I have flown between Singapore and Melbourne a few times before so I also went with an airline I’ve never used before. 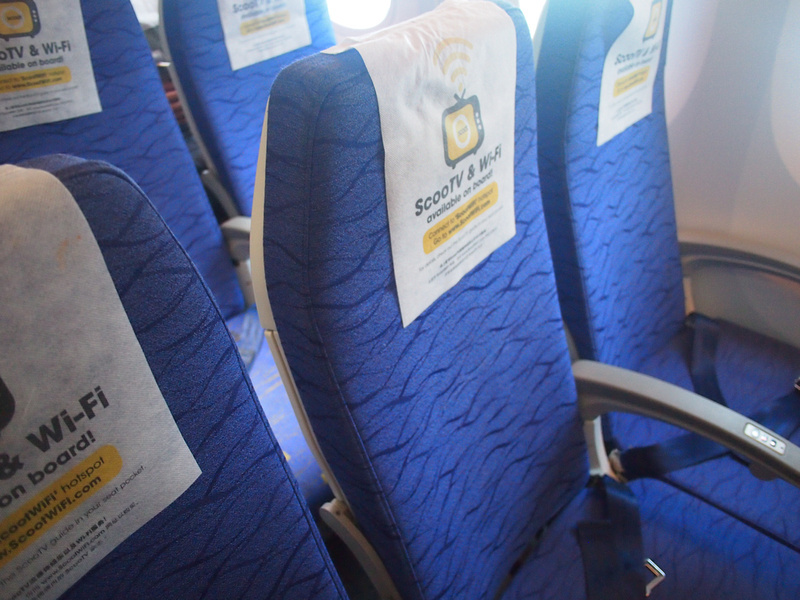 Scoot is a low-cost long-haul airline based in Singapore and owned by Singapore Airlines. 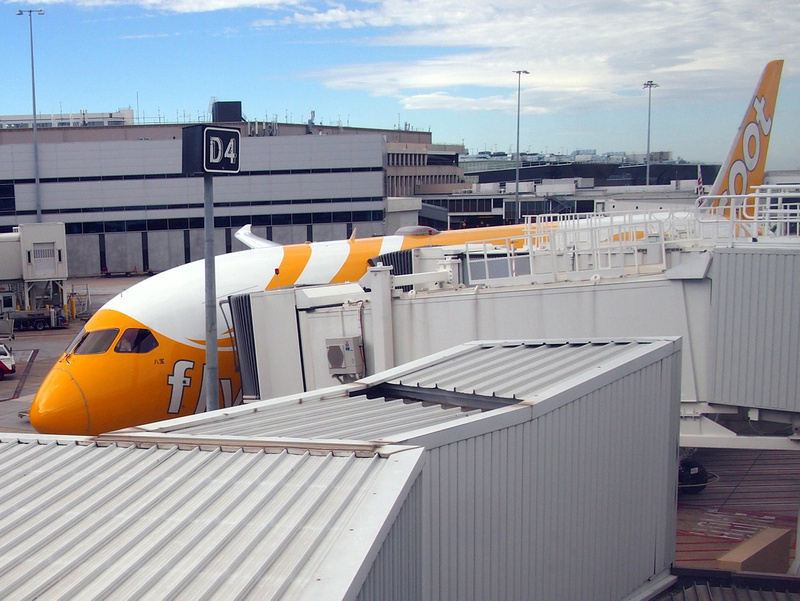 Scoot began operation in 2012 and serve flights to Australia and Asia on 787 aircraft. Being a low-cost airline the tickets are usually much cheaper than their full-service counterpart, but then you have to buy the extra services. Even with the extra services it should still work out cheaper. You should consider this though when comparing flights, just in case the added on extras tally up to be more than a full service airline. Airfare comparison sights only show the base fare so you have to do your home work. 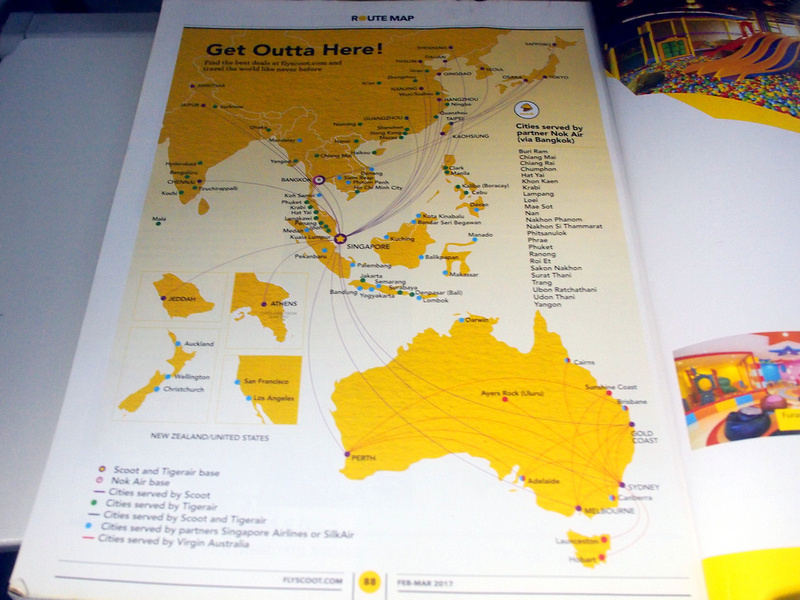 As you can see here there are a selection of fare options, where the original sale price was advertising flights from Melbourne to Singapore for $199. Sounds great until you start adding extras. I went with the FlyBagEat option, which added a checked bag and hot meal to the base fare. Once you have booked a fare there are more opportunities for extras to be bought. I opted out of these. 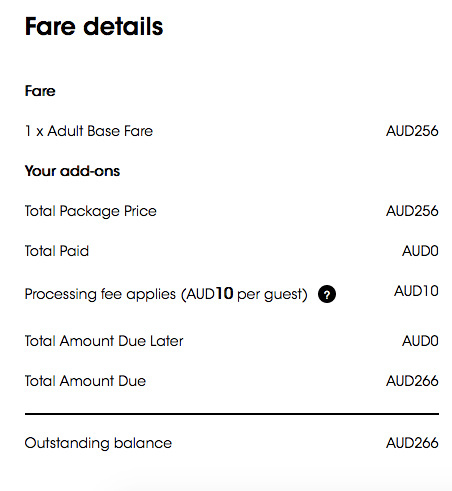 In the end my total flight worked out to be $266 AUD, up from the initial $199 offer. That still works out to be a great price, and much cheaper than anything else that was on offer. Before the flight I was sent an email offering to bid for a Scootbiz seat. The flight I booked departs Melbourne at 13:00 and arrives at Singapore at 18:15. Scheduled flying time is 8h15m and Singapore is 3 hours behind Melbourne. This is the ideal flying time for me from Melbourne to Southeast Asia. I wake up without an alarm clock and get to the airport without rushing, and you arrive at Singapore without feeling like it was a strenuous day of travel. And there is no jetlag for this same-day travel. I try an avoid overnight flights whenever possible. 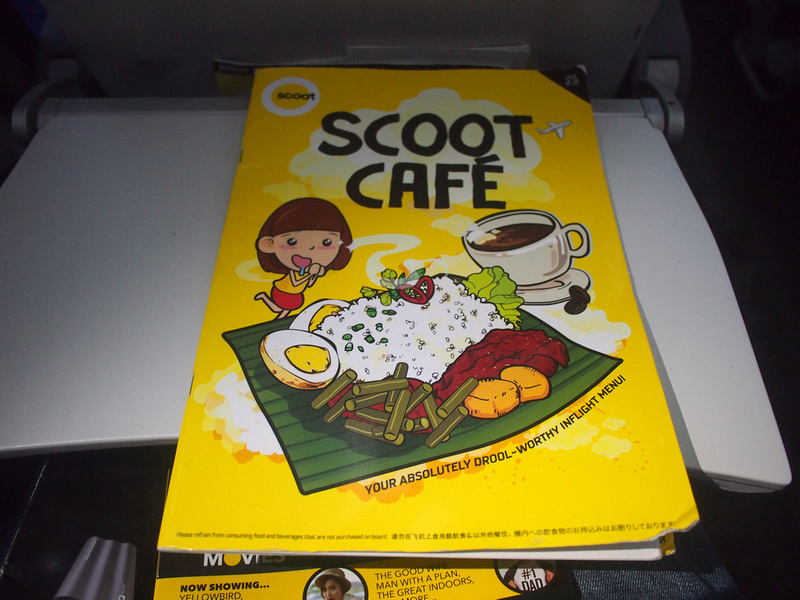 Scoot is owned by Singapore Airlines, but it is run as a low-cost airline. 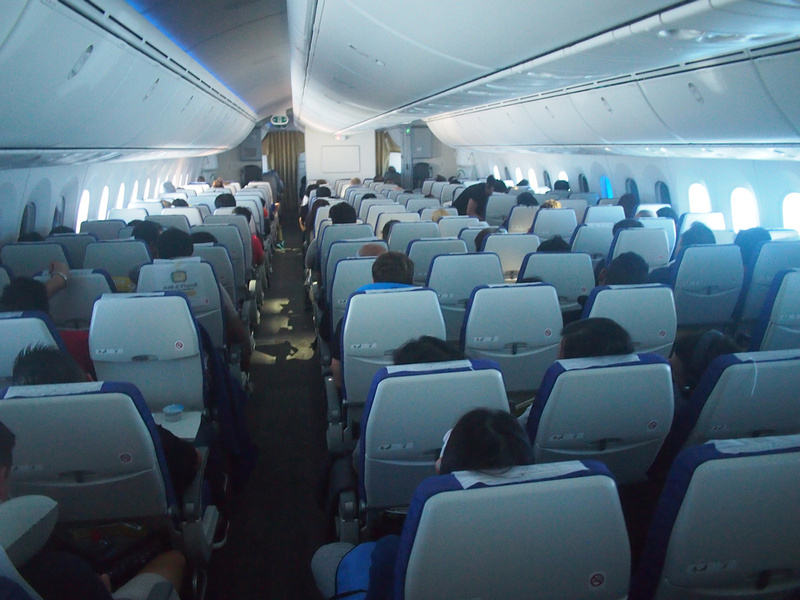 On Singapore Airlines wide-bodied planes the economy seats are in a 2-4-2 configuration. Scoot (like AirAsia X) have a 3-3-3 seat configuration, so there is an extra seat in the row, thus a slightly narrower seat. The seats themselves were surprisingly comfortable. The seats are slimmer yet they felt better padded, and there went any gaps or sags in the seat. 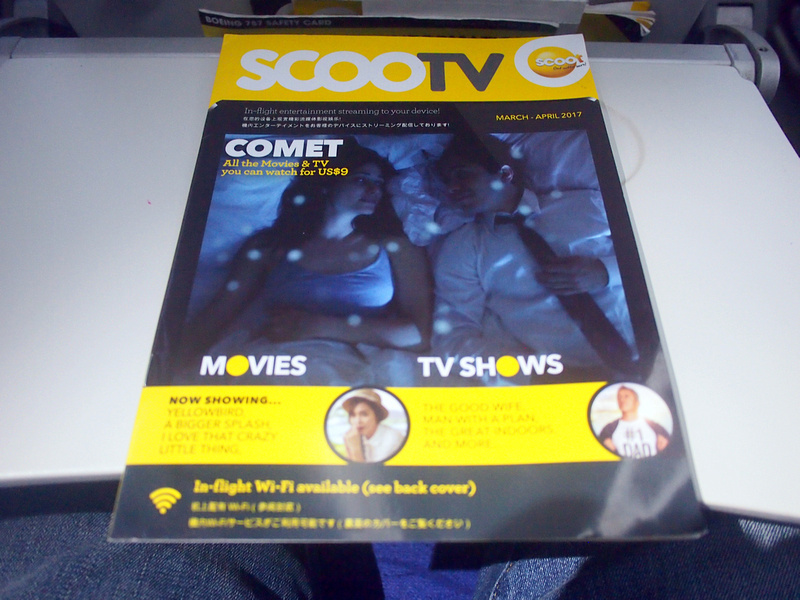 This was my first flight with Scoot, and also my first time on a 787 Dreamliner. I was most curious to fly one to see the larger windows. Indeed the windows are noticeably larger, to the point where I could get a reasonable view of taking off from a few windows while sitting in an aisle seat. 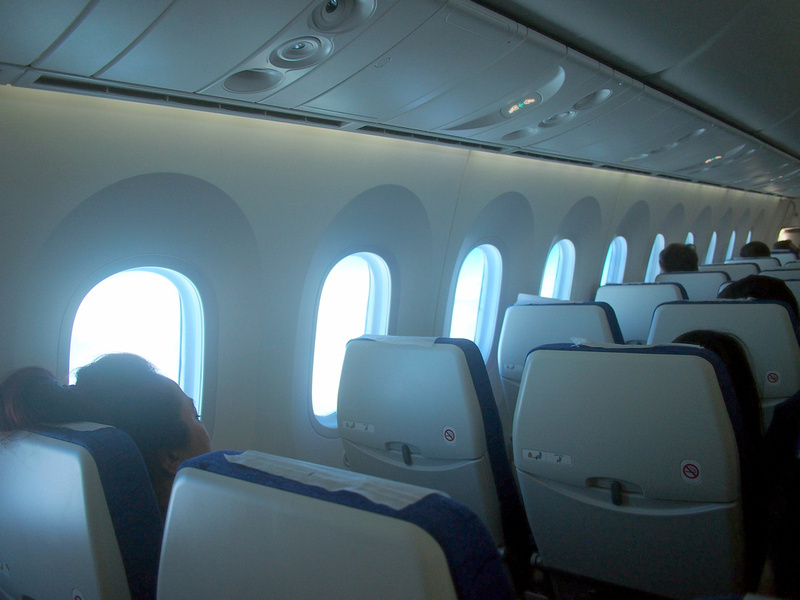 The 787 windows have no window shades either. Instead they have an electronic shading system which gradually dims rather than the all-or-nothing approach of a window shade. Initially these windows weren’t completely blacking out and still letting in light, but on my flight it appears that windows now completely black out. I think this is a great innovation, especially if the sun is beating down on your side of the plane but you still want to see outside. Another little thing I noticed is they (either Boeing or Scoot) have done away with the No Smoking light next to the Fasten Seatbelt light. There is still a No Smoking sticker on the back of the seat though. Scoot Get Outta Here! 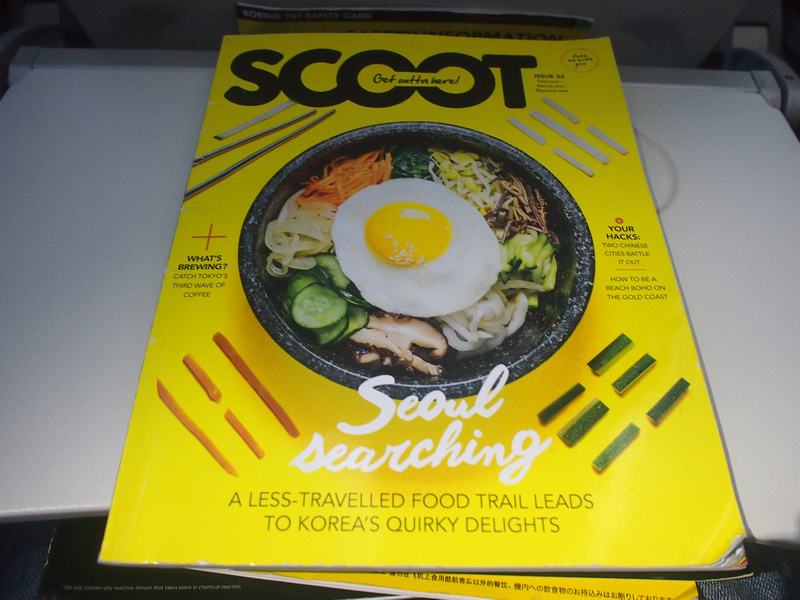 The inflight magazine of Scoot. 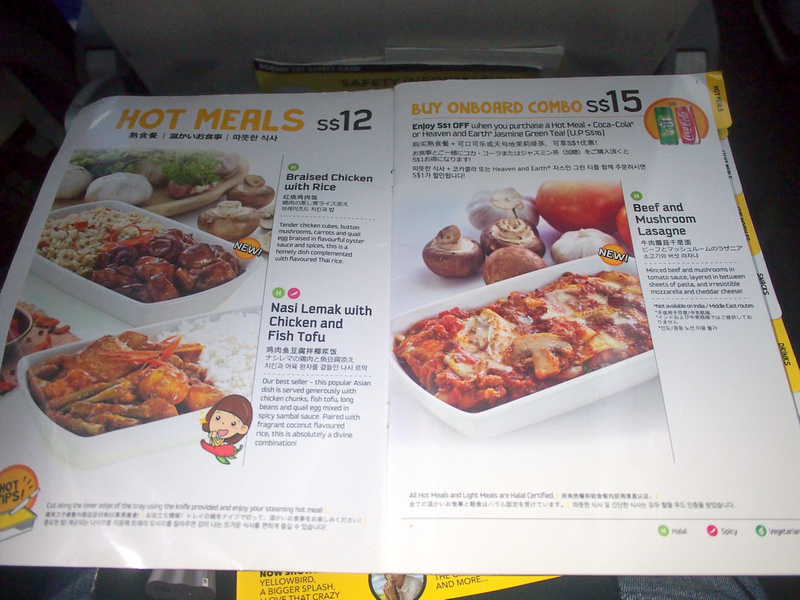 There is an onboard meal service with food and drinks for purchase. I pre-odered a meal because I knew otherwise I would be just eating snacks on such a long flight. 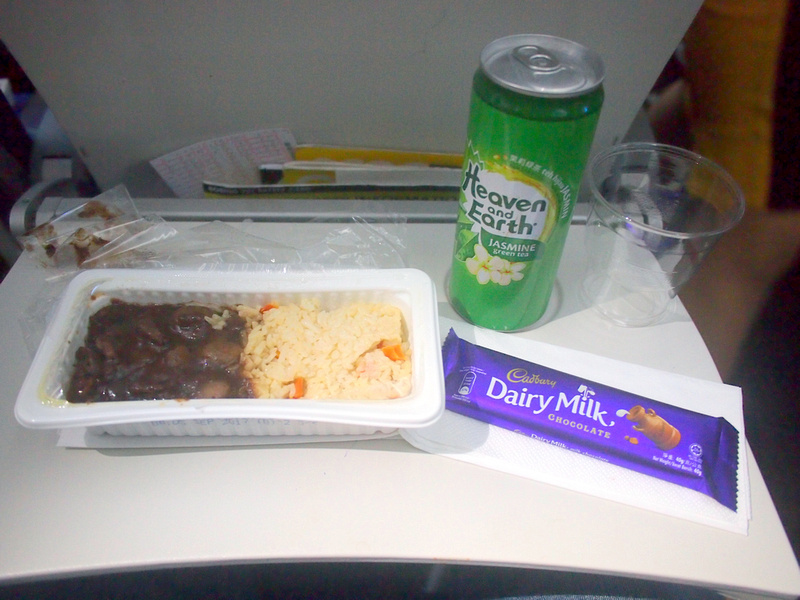 The meal was a beef and mushroom curry and rice, and a chocolate bar and choise of drink (coke or green tea). Pre-ordered meals are served first, but if you didn’t order you can get something from the menu. 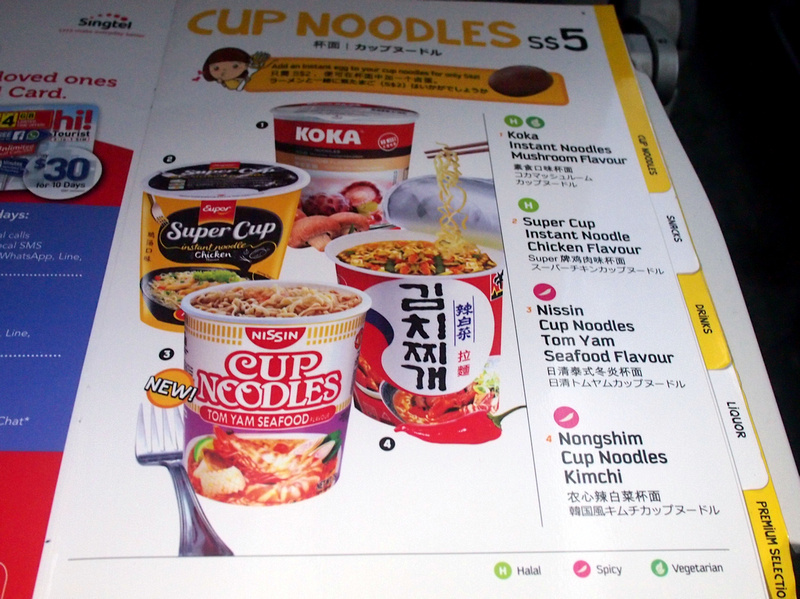 You can also eat before you fly and just order something snacky like pot noodles. Onboard entertainment is available to buy if you have your own device. 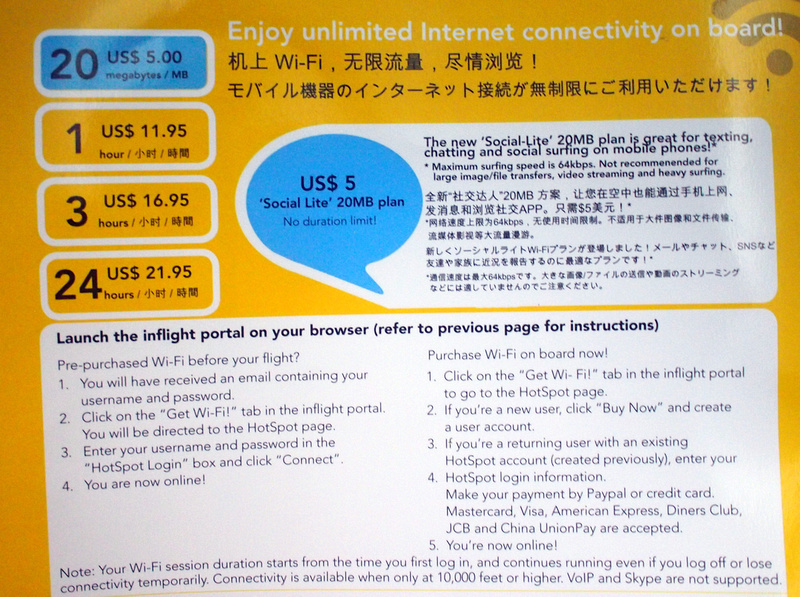 There is also onboard wifi if you can’t go 8 hours without using the internet. 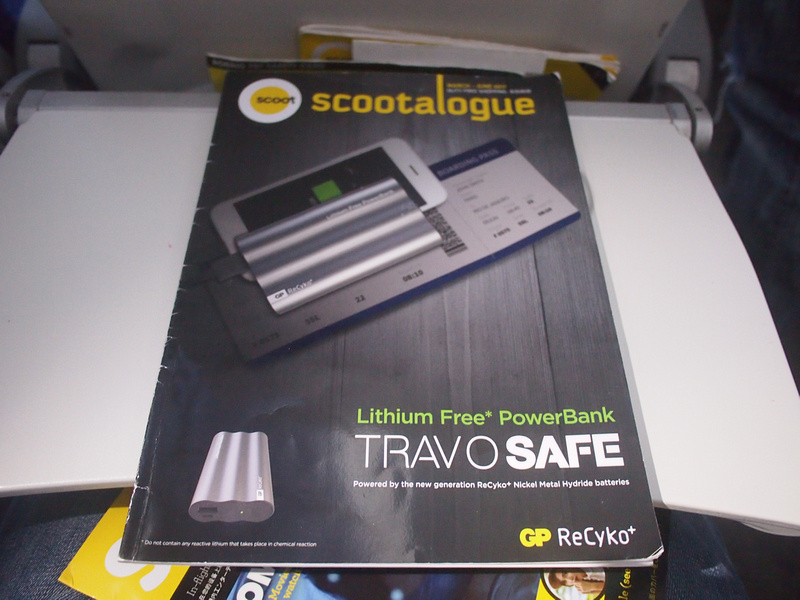 I had a look at the “Scootalogue” and noticed on the front cover they are advertising batteries for you device, which must do well for them now in this age where we are all reliant on our devices for entertainment. I don’t even bother using my devices as I like to preserve my battery power for when I arrive. Instead I make sure my Kindle is charged and loaded with a good book. People complain about sitting in economy for 8 hours, but I see it as an opportunity for uninterrupted reading. Overall this was a good flight from Melbourne to Singapore. At the time of this post they also fly to the Gold Coast, Sydney, and Perth, so if you are looking for a cheap flight to Australia then this may be your ticket.